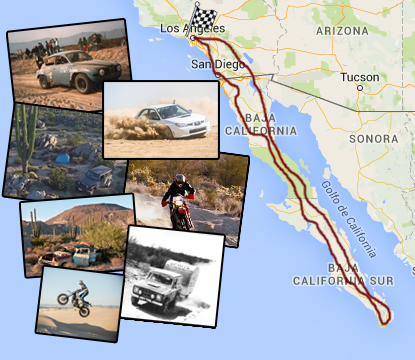 Jan 29-Feb 7, 2019 This spirit of desert racing and off-road overland trips live on. 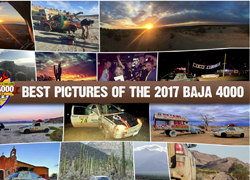 The 2019 Baja XL (formerly known as Baja 4000) was a roaring success. 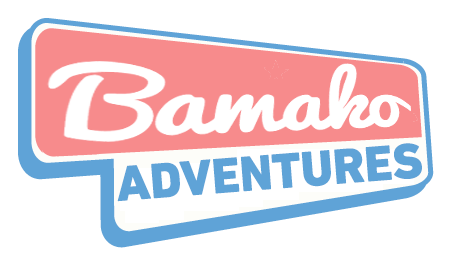 Classic Baja racing will be combined with the zany energy of the Budapest-Bamako to bring you a unique once in a lifetime experience. 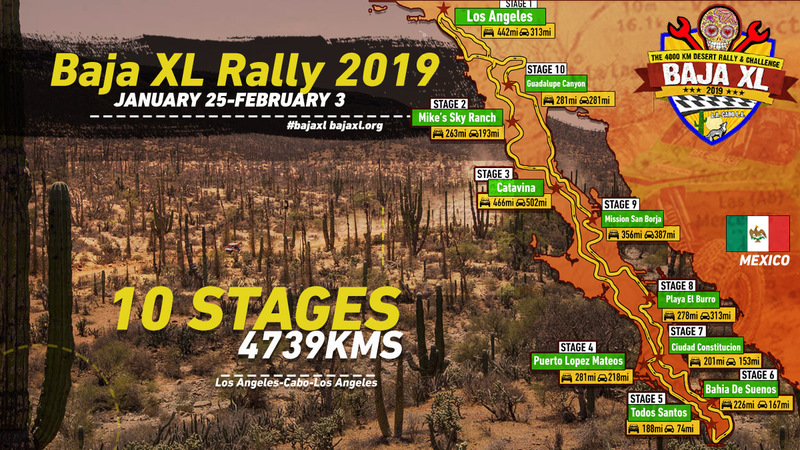 The BAJA XL returns for its second edition, starting from Los Angeles and traveling along the most scenic part of Southern California’s deserts and beaches before reaching the Baja peninsula in Mexico. The BAJA XL will ride along dry salt flats, sand dunes, rocky dirt roads, sandy patches, cracked asphalt, silt beds and hard beach roads. Spend nights in mystical canyons near hot springs. Bump along desert beach tracks and cut through cactus forests. Experience off-road driving one of the most incredible eco-systems in the world. The rally is held every two years. The 2nd edition of the event will start from Los Angeles on January 25, 2019. 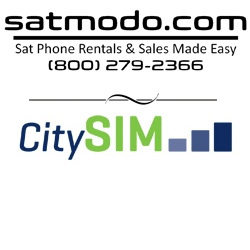 Check out our detailed route. Most driving will happen on dirt roads, yet most of the journey can be completed in regular two wheel drive cars as well. Most nights will be spent under the starry skies in your tent, but you can find motel/hotel alternatives on some of the nights. Be prepared to rough it for a few days. 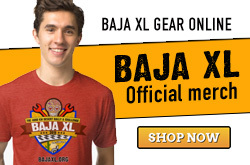 The BAJA XL is a minimal assistance road rally. There are no rescue trucks, medical helicopters or travel guides. 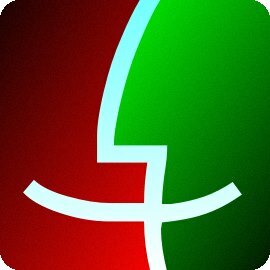 You have to rely on your own wits and resources to get out of trouble. We will have one full rest day in the Cabo area where participants can enjoy the beach and we’ll have a chance in Puerto Lopez Mateos for some grey whale face time. MARK YOUR CALENDAR NOW: JANUARY 25-FEBRUARY 3 2019.